First of all, prayers for my irrepressible cousin Tricia and a New Orleans recovery miracle. And for those not celebrating this joyous holiday, I’ve got good wishes (and another useful Census link) for you too. Census data continues to be released and one way to keep up is through the bureau’s own Random Samplings blog. See you again on May 4th for a special court research session. Don’t miss it! Posted in Tips | Comments Off on Happy Easter! It’s been awhile since we last met, but I know the break is well earned! The latest edition of “219 West” is online. The Women’s History Month-themed show is hosted by Alcione Gonzalez and Chase Rosen, and includes a contribution from Annais Morales. Sherrina Navani’s video about faith and food made The Feast. 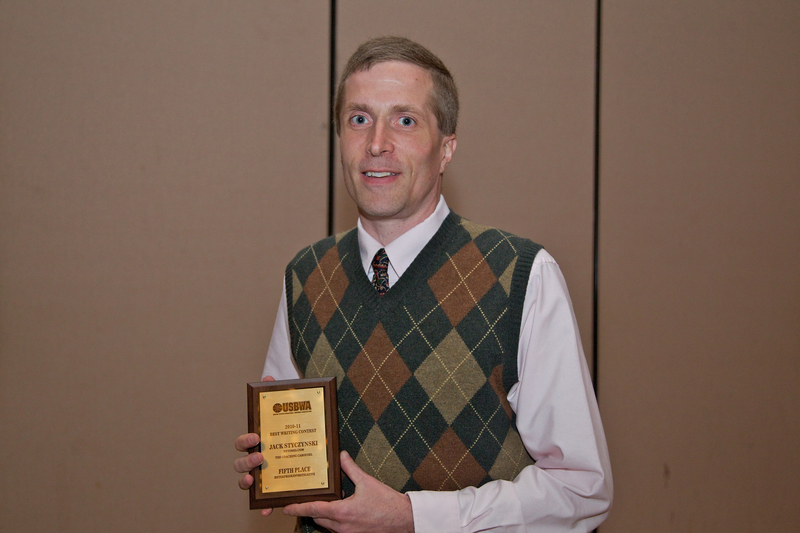 Proudly displaying my third USBWA award earlier this month in Houston. Posted in Student bylines | Comments Off on Recognize and be recognized!